The Fish & Wildlife Foundation of Florida is a nonprofit 501(c)(3) organization that seeks to protect our outstanding animals and plants and the lands and waters they need to survive. We work closely with the Florida Fish and Wildlife Conservation Commission (FWC) and many other public and private partners. Since our founding in 1994, we have raised and donated more than $32 million for conservation and outdoor recreation, including youth outdoor education. The Fish & Wildlife Foundation of Florida, Inc. was formed on September 29, 1994, as a nonprofit organization to support the health and well-being of Florida’s fish and wildlife resources and their habitats. We are the citizen-support organization of the Florida Fish and Wildlife Conservation Commission (FWC) and work with a variety of other public and private organizations to achieve our science-based conservation, research, education, and outdoor recreation goals. Our grantmaking traditionally focuses on providing outdoor education and recreational opportunities for youth, combatting invasive species like lionfish, improving management of wildlife habitats and fisheries, protecting Florida’s freshwater springs, and improving public access to hunting, fishing and boating resources. As a nonprofit organization, we accept charitable contributions toward these and other conservation programs in Florida and surrounding waters. Please join us! The Fish & Wildlife Foundation of Florida, in addition to its close alliance with FWC, works with a broad array of other states, local and federal agencies, local communities, businesses, universities, research institutions and non-profit organizations. These include The Florida Youth Conservation Centers Network, The Florida Department of Environmental Protection, Florida Department of Health, Florida State Parks, The U. S. Fish & Wildlife Service, American Sportfishing Association, Bat Conservation International, Bonefish & Tarpon Trust, Coastal Conservation Association, Defenders of Wildlife, Florida Aquarium, Florida Wildlife Corridor, Future of Hunting in Florida, Marine Discovery Center, National Wild Turkey Federation, Recreational Boating & Fishing Foundation, Sea to Shore Alliance, The Nature Conservancy, and United Waterfowlers – Florida. We are committed to accountability and transparency and make full use of widely accepted nonprofit governance and management best practices. Our current programmatic efficiency is 88 percent. 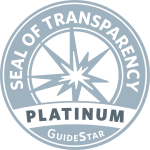 We have been highly rated as a “Platinum” organization by charity watchdog Guidestar. Our commitment to diversity includes the recognition that our conservation mission is best advanced by the leadership and contributions of women and men of diverse backgrounds, whether paid staff member or volunteer. We are committed to being an inclusive organization that does not discriminate on the basis of culture, race, gender and gender identity, religion, national origin, age, disability status, sexual orientation, military status, protected veteran status or other status protected by law.